Black and death metal must be absolutely huge in Poland, as it seems to comprise the majority of live album and DVD releases coming from that former Iron Curtain nation. Live Profanity: Visiting the Graves of Heretics is no exception to this generalization. Symphonic black metal is often derided and ridiculed for not being “true” black metal. 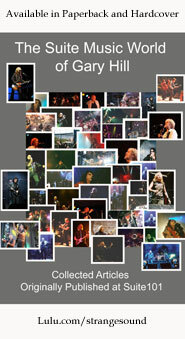 Certainly, showing less reliance on breakneck pacing and throaty screamed vocals separates symphonic bands from their more “true” relatives, but it certainly does not keep them from exploring just as dark subject matter lyrically, nor does it keep them from creating music that might inspire acts of mayhem. The addition of keyboards to create atmosphere, and occasionally the inclusion of non-screamed vocals, set symphonic black metal apart, and often allow for a little easier entry point into the genre. Darzamat departs from the norm even further with the inclusion of two vocalists; Flauros is a typical black metal vocalist, all throaty scream and vitriol, while Nera adds a somewhat more…feminine touch to the songs. 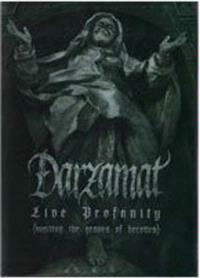 One might think that this means that Darzamat employs the “Beauty and the Beast” vocal format often seen in gothic metal, where the female singer provides operatic soprano vocals to contrast with the guttural grunts and screams of the male. In Darzamat’s case, however, Nera’s vocals are much lower in tone, typically contralto to low alto, and offer no sweetness or respite; her vocals are every bit as relentless as Flauros’s. Live Profanity features the band’s full performance from Spodek in Kartowice Poland (the same night as Vital Remains’ live DVD, also out now). Filmed by the same crew, the footage actually looks much brighter and better lit when compared to that from Vital Remains. Shots often move fluidly, adding dynamics in viewing while maintaining shots for extended lengths. Sound quality is very good as well, with keyboards easily heard in the mix. Guitars are crunchy and thick, bass is more often felt than heard, and drums have good presence and pop. The mix is also just a bit brighter, featuring more top end and, as a result, more richness across the spectrum. Darzamat’s material is a little…well…that is to say…samey at times. Riffs are ridden as far as inhumanly possible while dynamic shifts are more subtle than gross. The symphonic keyboards are a great touch, yet similar patches can be heard in just about every song. While certainly not as consistently similar from song to song as some bands can be, a little Darzamat can go a long way. Having said that, the performance is solid and generally very enjoyable to watch and listen to. The band has good stage presence, though they could work the audience just a touch more. With all between song banter spoken in their native Polish language, the inclusion of subtitles is a great help to those of us not fluent in the language. Darzamat is still a fairly young band, and their first DVD release Live Profanity: Visiting the Graves of Heretics does a good job of closing the book on this first chapter of their career. It will be interesting to see how the group evolves from here out.